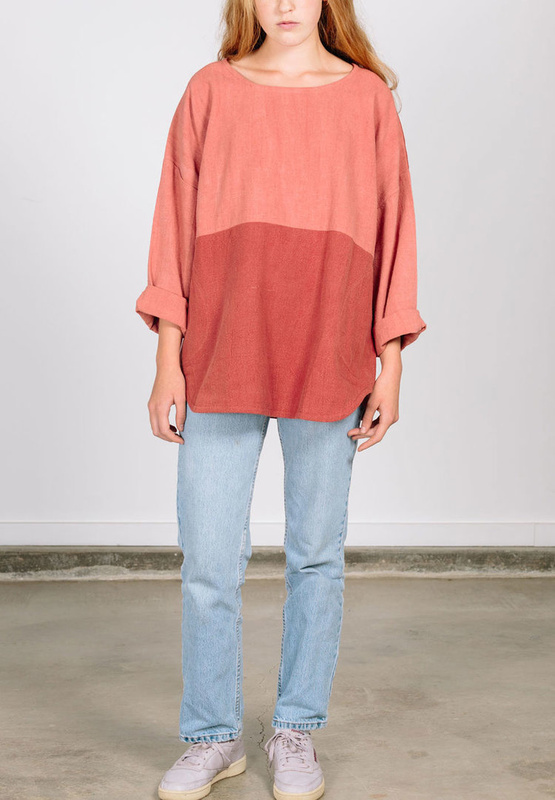 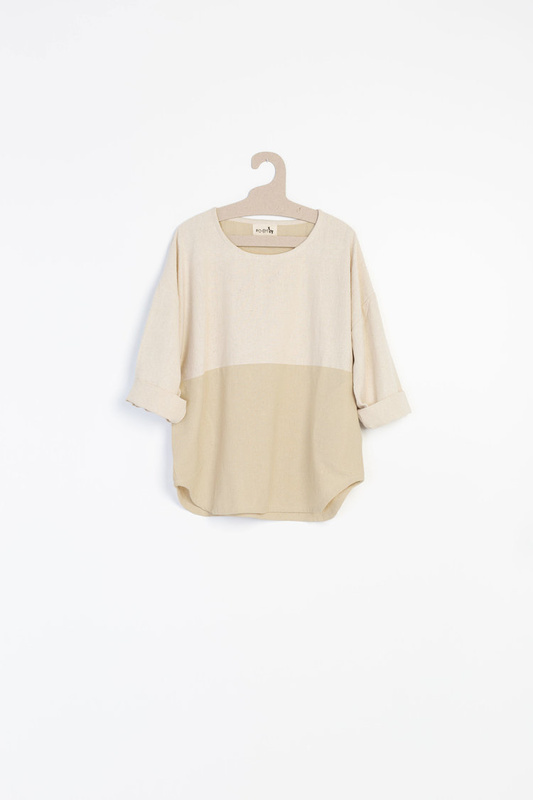 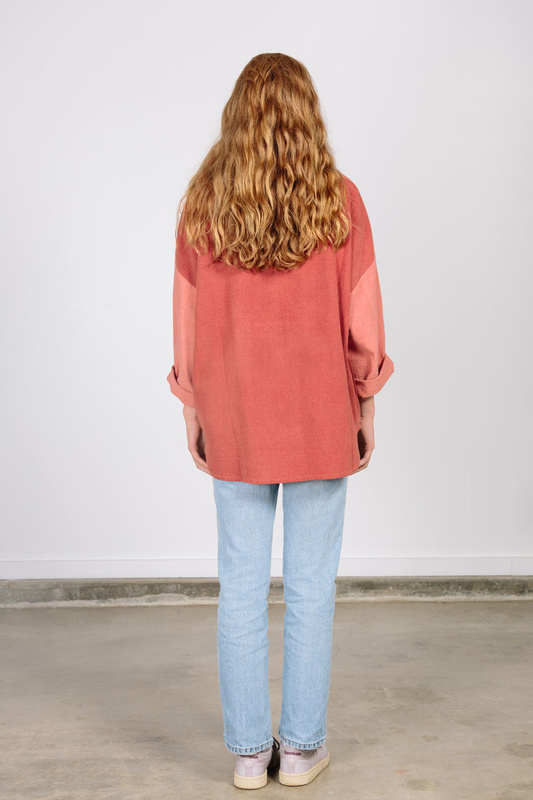 A boxy top crafted from homespun, handwoven thick rustic cotton. 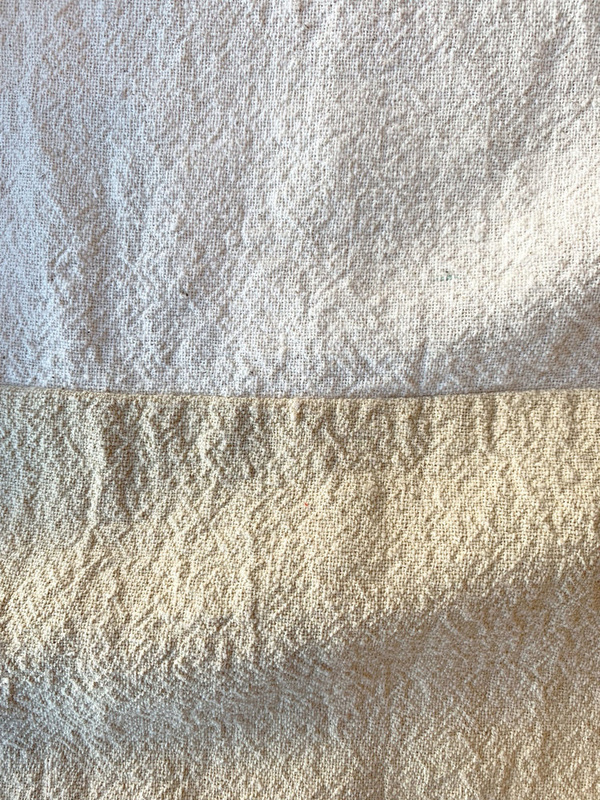 This handmade textile is on the thicker side, with lots of texture. 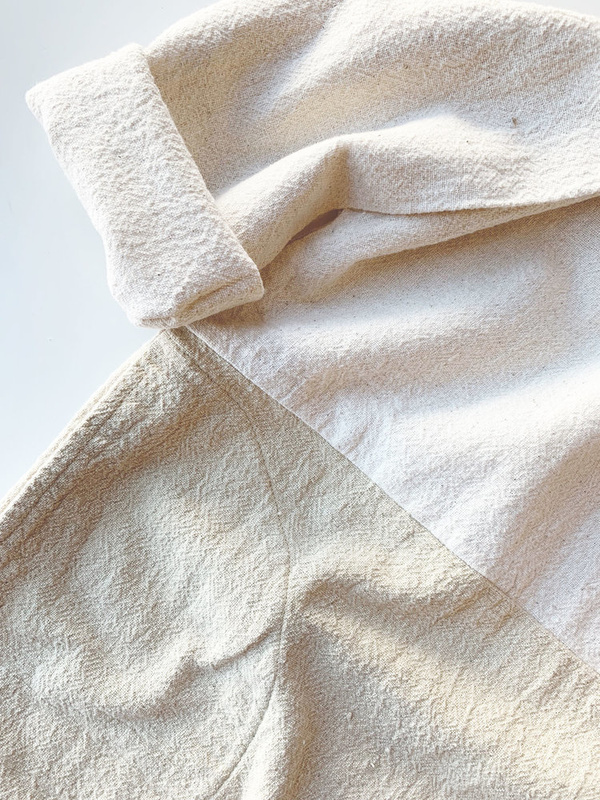 Top portion is undyed and the bottom is naturally dyed by hand to a wonderful tan color to create a combo color scheme - inspired by sand dunes.